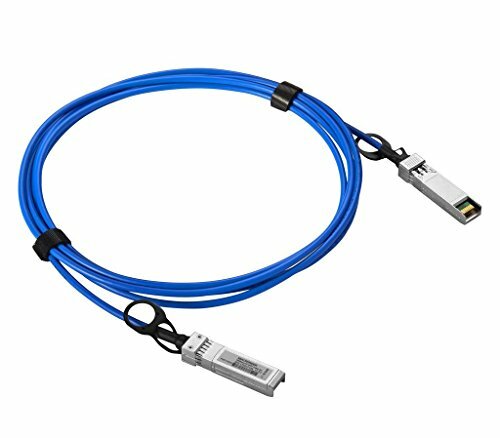 SFP+ to SFP+ Cable Copper Twinax, 0.5m, Blue Color. Data rate up to 10Gbps. Work with Cisco Catalyst Switch, Cisco Router, Cisco Industrial Ethernet, Cisco Wireless LAN Controller, Cisco Data Center and Blade Switching, Cisco Metro Ethernet, Auto-negotiation to work with SFP and SFP+ ports. Fully compliant to the latest SFP Plus MSA (multi-source agreement).